All staff and students are welcome to attend Mindfulness sessions every week in May. 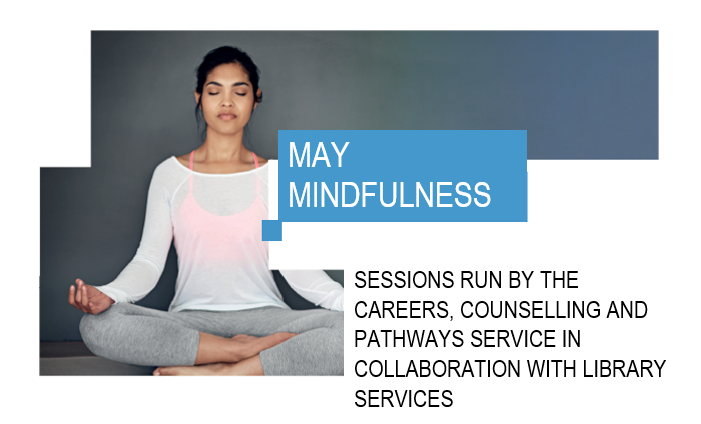 Join the Careers, Counselling and Pathways Service in the practice of Mindfulness. Mindfulness is adapted from Buddhist meditation and is described by the Black Dog Institute as the awareness of what is happening in the present on a moment by moment basis, while not making judgements. Mind-body integration and a greater enjoyment of life! Each session will be led by one of our experienced Counsellors and you will be guided through a Mindfulness exercise lasting between 15 and 20 minutes. Please register your interest at Hunter St Library.